Major home improvements, such as kitchen extensions or loft conversions, can make a home look great and add value to a property. But decent preparation and planning prior to the work starting is crucial. Get your council permissions wrong or employ a dodgy builder and the work could become a nightmare and even have a serious negative impact on a property’s value. It could also negate your home insurance, leaving you extremely financially vulnerable. 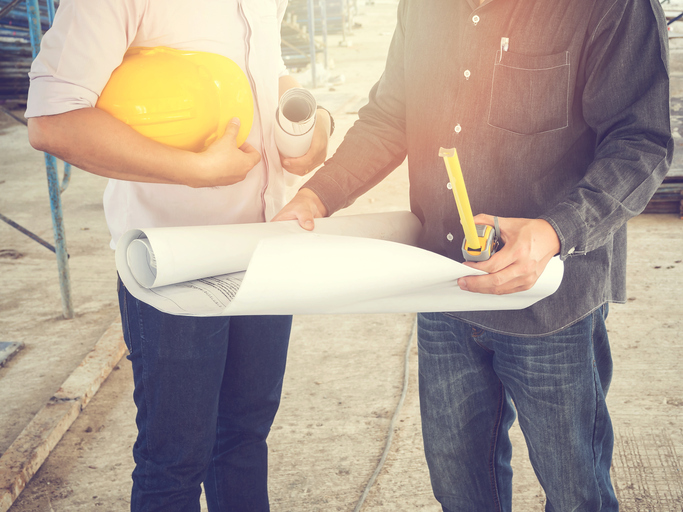 Depending on the work you’re having done, you might need planning permission and building regulation approval, as well as permits for skips or scaffolding. Even replacing windows can trigger such a need. If you own a home, many home improvements fall under what’s called ‘permitted development’, which only needs building regs. However, for larger scale work, you might need planning permission too. Contractors often organise this, or you may need an architect or chartered surveyor. If you can, get a personal recommendation and talk to the contractor and ask for references. Try and go and see work they’ve done and speak to the people they did it for. Get a number of quotes, from at least 3 contractors if possible, and get them in writing. If you can’t get a recommendation, search around online on sites such as Trustedtrader.com or Ratedpeople.com. Always check someone is registered with the relevant bodies, especially if they’re carrying out gas or electric work. And, crucially, ask for proof they’re insured for their work and any possible accidental damage (to party walls with an adjoining property for example). Your home insurance provider needs to be told about any serious building work that you’re planning before it starts. If not, and something goes wrong during or after the work, the insurer might not pay out on any claim; the ‘risk profile’ of your home might change during the work and after, this is usually the case if your home’s size and shape has changed. Your premiums might go up slightly, but probably not by much, depending on the extent of the work. Refitting rooms such as bathrooms and kitchens usually don’t require insurer notification as it’s not considered ‘structural’. Once you’ve chosen a builder/contractor, try and get a written contract, it’ll come in handy if things go wrong and you want to claim money back. Make sure the contract clearly states what you’re paying for, covers timings (start and finish dates), tidying up responsibilities, materials and any subcontractors to be used. The simple rule here is NEVER pay everything up front. Agree staged payments, and that the last payment will be made only after final checks and snags have been cleared up, and any relevant certificates issued.